Magaqa has been in hospital after he and two other councillors were shot and wounded in an ambush two months ago. JOHANNESBURG – Former African National Congress Youth League (ANCYL) secretary general (SG) Sindiso Magaqa has died. The ANCYL in KwaZulu-Natal confirmed the news on Monday evening, saying the party’s delegation was on its way to the late leader’s family. Magaqa has been in hospital after he and two other councillors were shot and wounded in an ambush in southern KwaZulu-Natal two months ago. They were at a shop in a village outside Umzimkhulu when the incident happened. The shooting took place in an area known as Ibisi, near Magaqa’s home. By 8.30pm on Thursday, the three men were being treated in hospital. Vuyokazi Magaqa, an EFF member and a relative of Magaqa’s, posted news of the shooting on Facebook. ANC KwaZulu-Natal spokesman Mdumiseni Ntuli also confirmed the shooting. “At the moment we haven’t received details from people at the hospital. We have no idea if they are seriously wounded or have minor injuries. Comrades have gone to the hospital and we’ll get a proper briefing tonight,” Ntuli told TimesLIVE shortly before 9pm on Thursday. Ntuli said the three had been travelling together when they stopped at a local shop. It was there that they were apparently ambushed. “Whoever shot them did it either while they were getting out of the vehicle to go into the shop, or as they were on their way out. We are waiting for more information,” he said. During the Stephen Dlamini memorial lecture in Ixopo in May, Magaqa told TimesLIVE he was afraid of being killed as tension gripped the region. 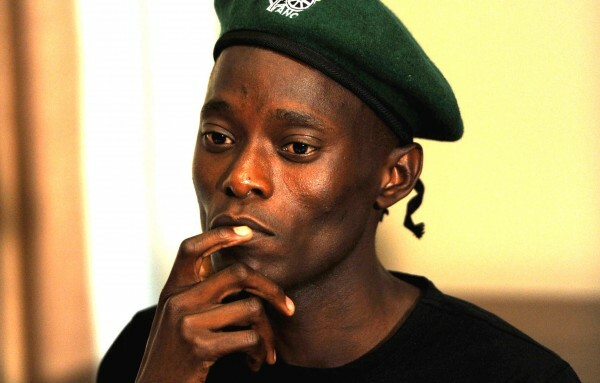 Magaqa, a former student leader, rose to national prominence after being elected ANCYL secretary general in June 2011 as part of the top six with then president Julius Malema. He was suspended from the party for a year in 2012 following a series of defiant statements made against senior party leaders. So brazen have the killings in the region been that the KwaZulu-Natal ANC top five and the provincial working committee have been jolted into action. The ANC officials met structures in the region to find a solution to the escalating problem.